Republican tariffs and immigration restrictions account largely for American wages being more than in any other country. Not only are our wages higher than in any other land, but American standards of living are far higher, hours of labor shorter and working conditions better than in any other nation. The object of a tariff is to benefit and protect our workingmen, from the lower wages, longer hours and lower standards of living of other countries and to protect our manufacturers and American producers in every industry and ensure them our markets. 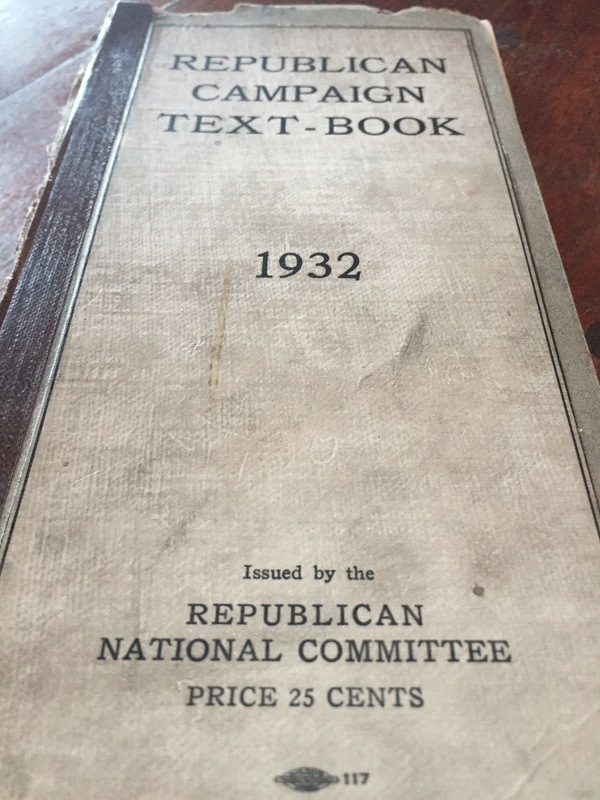 The Republican Party by its twin tariff and immigration restriction planks recognizes that our first duty is to our own and those already here, native and foreign born alike. It is indeed fortunate that in these times of world wide liquidation, stagnation and readjustment there were on the federal statute books tariff and immigration laws placed there by Republican administrations, and that there was in the White House a President who sensing the situation at its very start, with real statesmanship and administrative foresight and a keen regard for the workers and the people, two years ago adopted a policy to prevent any more job hunters starting for the United States. This action has done more good than any other thing could have done to avert more increased unemployment, more human misery, and more human suffering. Yeah, how’d that work out for Republicans? To borrow the old apocryphal comment attributed to Mark Twain, history may not repeat itself, but it rhymes.